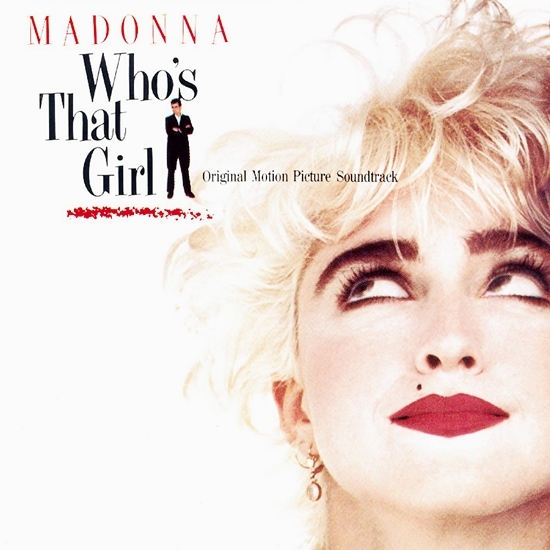 On July 21 1987, the Who’s That Girl: Original Motion Picture Soundtrack album was released. Who’s That Girl was released as the lead single from the soundtrack, it became Madonna’s sixth single to top the Billboard Hot 100 chart, making her the first artist to accumulate six number-one singles in the 1980s, and the first female performer to get that many number-ones as a solo act. The album’s second single, Causing a Commotion, was released on August 25, 1987. In the United States, the single quickly climbed up the chart, ultimately peaking at number two in the week of October 24, 1987, the same week Michael Jackson’s Bad advanced to the pole position. It remained in second position for three weeks, before descending from the chart. The third song released from the album was the European single The Look of Love. In the United Kingdom, The Look of Love was released on December 12, 1987, and entered the UK Singles Chart at position 15. The next week, it reached a peak of nine on the chart, her first single to miss the top five since Lucky Star in 1984. The only Madonna song not to be released as a single from the soundtrack was Can’t Stop. Who’s That Girl? Madonna, of course! Enjoying her First Flash of Freedom with Hypnotic Eyes but with a sadness in her heart behind her happy-yet-sad smile. Obviously thinking and crying about her mother, Madge turned a corner into Immortality with the #1 hit title cut and sad ballad The Look of Love, Madonna became the legend and balladeer we know today! Essential Madonna!